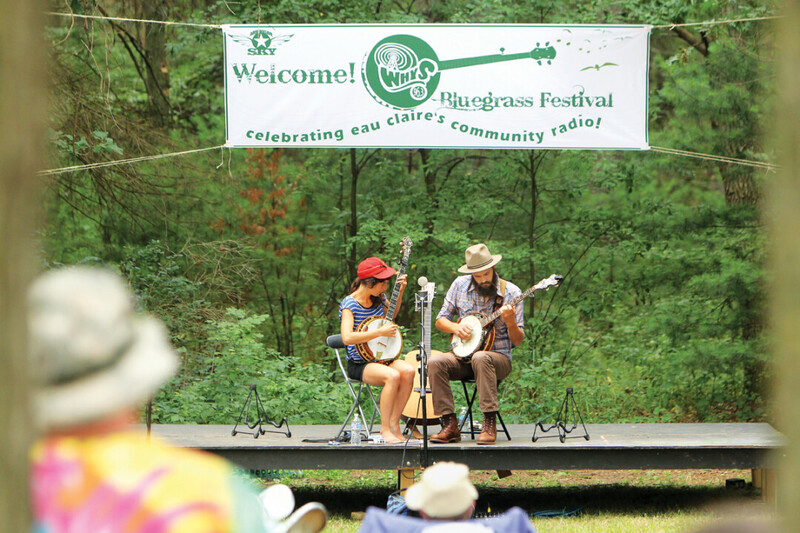 A GREEN SPACE FOR BLUEGRASS. Returning to Altoona Country Park this month, WHYS Radio’s annual Bluegrass Festival is a low key celebration of music, food, and more. Above: The Lowest Pair. 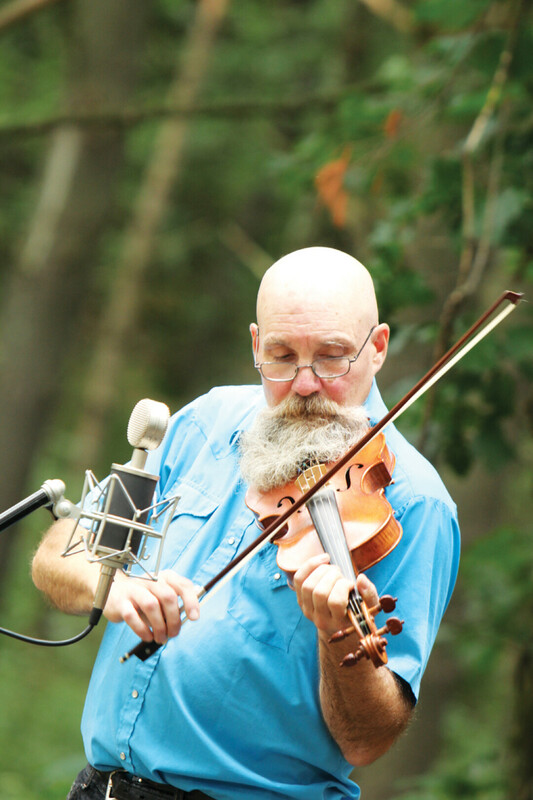 Tucked among the trees at Lake Altoona County Park on Aug. 19 there will stand two stages filled to the brim with bluegrass and roots music of all kinds. Musicians from Eau Claire such as the Ukulele Klub of Eau Claire and The Seeger Boys will pluck out tunes alongside performers such as the Georgia Rae Family Band, who are discovering our diverse scene for the first time. The musicians will provide an array of styles for attendees at this year’s WHYS Bluegrass Festival, like progressive to Americana to jazzy swing to old school, straight ahead with four-part harmonies. The ever-growing festival has been rooted at this time and place for the past 10 years. Todd Adams and Ben Johnson from WHYS Radio created the unique festival when they first launched the volunteer-operated radio station. Now, the festival serves as the station’s largest fundraiser of the year. Listeners, radio volunteers, bluegrass fans, friends, and families all convene for this special annual reunion. “It’s a good way of getting all the listeners to come out,” Ben stated. “We don’t see anybody (when we’re) on the radio.” The two hosts were drawn to bluegrass because people from all generations are familiar with it. They said they feel the genre brings listeners back to the roots of music, and most importantly brings people together. “Anybody can pick up an instrument and start making something happen,” Todd stated. “It’s portable, you can practice anywhere, and the outcome is organic.” All generations will find a style that speaks to them. The whole family, from kids to grandparents, can enjoy this festival. Along with the music, an impressive kubb tournament has flourished in recent years. Back by popular demand, the tournament is expanding with more space, which meas more teams. While you’re getting your kubb on or soaking in the tunes, try some grub prepared by your very own WHYS volunteers. Staple items such as gourmet hot dogs and beans and rice will be on hand to fill you up, along with beer from a newly opened Altoona brewery, Modicum Brewing Co., to quench your thirst. Hosts Todd and Ben are excited to celebrate another year of community radio in Eau Claire. This festival reflects their passion for community, whether it’s through the artists performing, businesses lending their support, volunteers and families cooking, and attendees coming by to enjoy the whole thing. It’s meant to be a day of fun for everyone, while fundraising to keep community radio a vibrant thing. With 10 years under their belt, they hope to continue expanding the festival as years go on, always looking to grow the variety and quality of the music, while continuing to focus on what’s happening right here in the Chippewa Valley.